Medium-heavy, flax gray linen sheets promise a cooling rinse, with an a aroma with a spring forest, full of morning rain. Don't you love this moment? 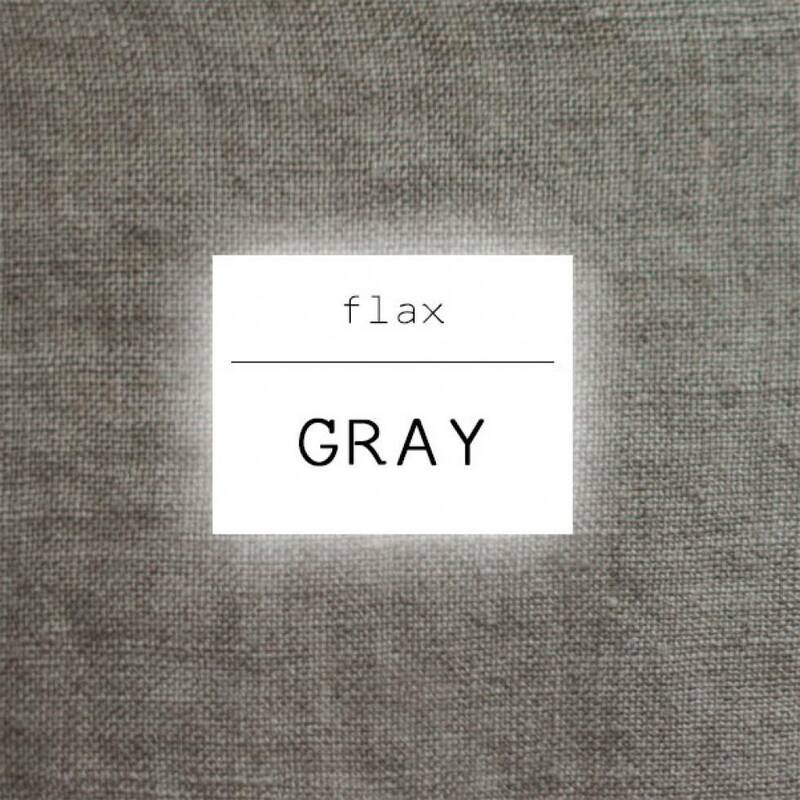 This flax gray linen is a mid-weight fabric - 160 GSM which is just perfect for both seasons. The texture of it is as always soft and mild after gentle stone washing. Request a free swatch card sending email to service@lenoklinen.com, with your name and mailing address. Or you can just order it here. 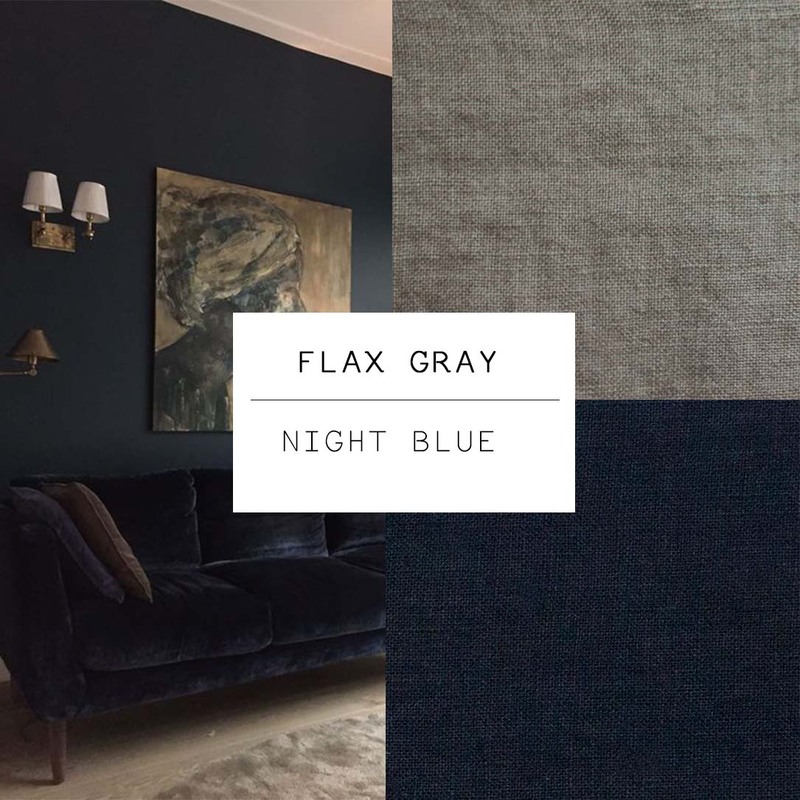 Flax gray linen sheets are all you need if you are stucked with basic white or gray sheets. This is made of the most natural and undyed, non-bleached linen fabric. It is organic, chemical-free and looks shabby and stylish. 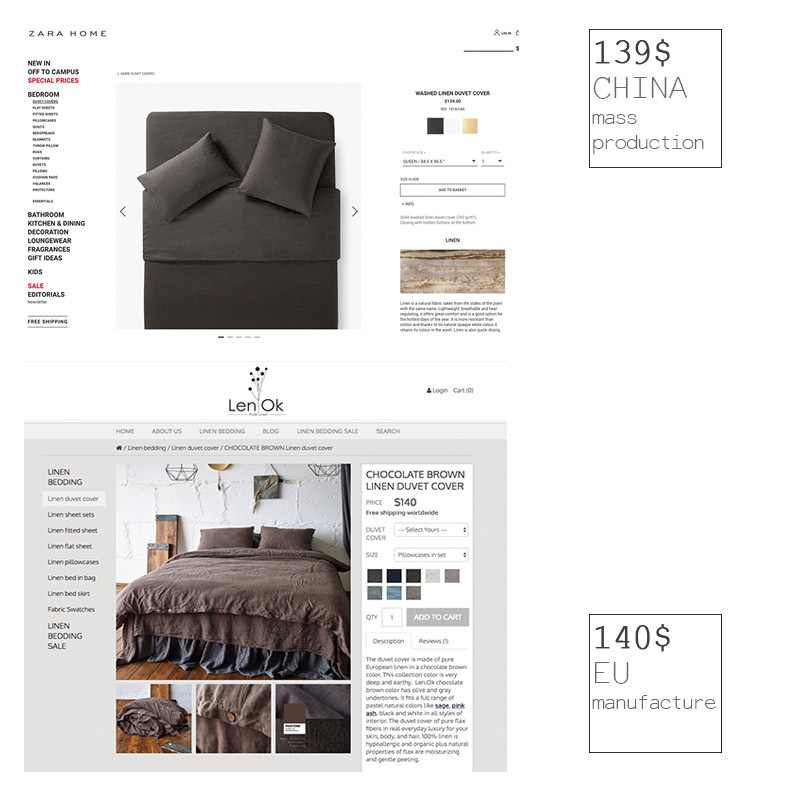 Flax Gray just perfect basic bedding color that can be combined with all Len.Ok collections successfully. or paired with Pink Ash shams - earthy gray rough color mixes with subtle and feminine pink so pleasantly. It is a great combo for those who want to add some lighter and delicate accents to the bedroom without making it too romantic. 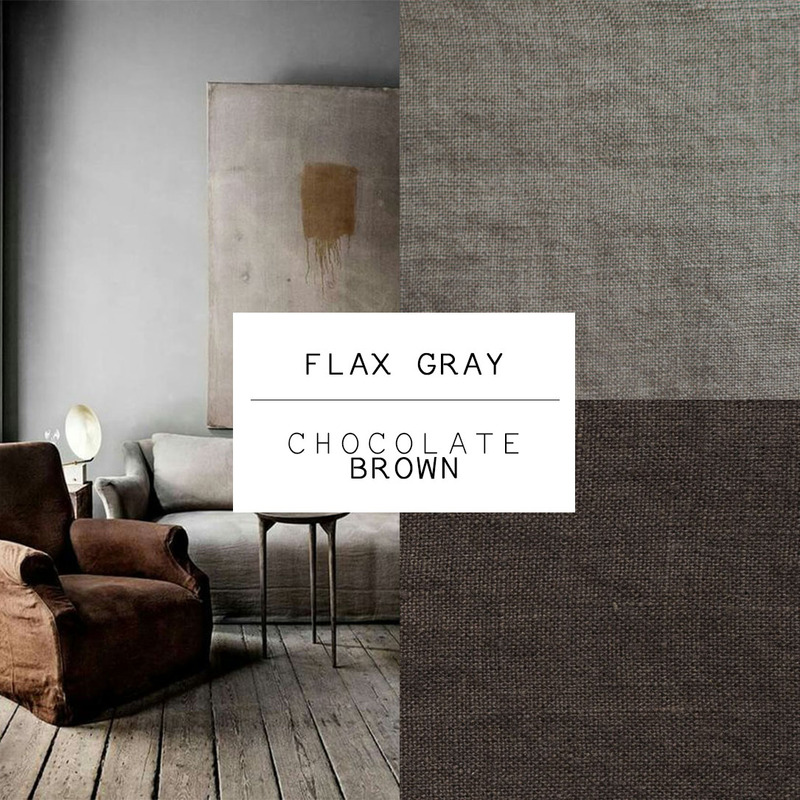 Pair the Flax Gray collection with Chocolate brown to for an ombre look. It makes a little drama when you combine dark color sheets - especially when they are of natural and warm colors. But don’t hesitate and order swatches to take a closer look at this combination.